Don't You Think It Looks Like..? HDR Artist initially confused me with its icon: however I tried, I honestly couldn’t place such an icon in relation to HDR photography — moreover, it looked vaguely familiar, but I have not figured this out yet. I was even more baffled after downloading Union Well Limited’s app for iPhone from the App Store: hadn’t I seen it before? Send via email or share on Facebook and Flickr. 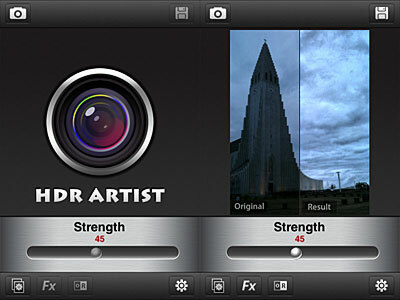 For processing photos in HDR Artist for iPhone, you can either use the built-in camera or photos stored in your device. You have a set of effects to apply HDR-like look to your images, but there are also effects that have nothing to do with HDR looks, like Halftone. In general, the effects work fairly decently, but they’re quite generic and their names seem to have been picked without any definite notion in mind. 70’s simply turns images to sepia, SoEmo to electric blue, Toy adds a cyan tone, just to give you an idea. There is a “Next” button on top of the effects page that for some reason doesn’t appear to be active and another browsable page of effects is nowhere to be found. 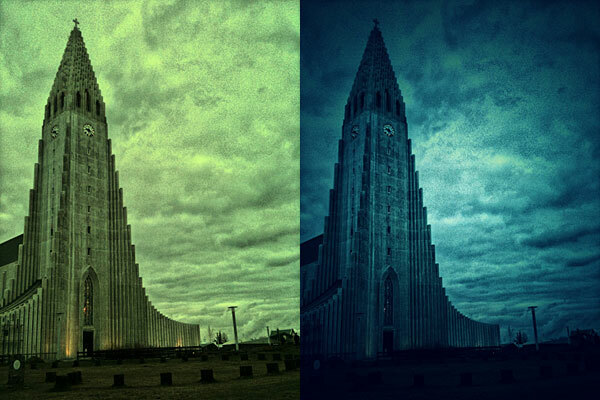 With a slider, you can adjust each effect’s intensity and enable original vs result view for comparison. When you are satisfied, you can save, send with email or share on Facebook and Flickr. HDR Artist effects applied to the same photo. Overall, the app feels like an assemblage of elements thrown in at random. Most importantly, HDR Artist’s uncanny resemblance to the first versions of Dynamic Light is so conspicuous it’s impossible to ignore it. It certainly is too evident to be a mere coincidence. I have no idea what went on behind the scenes, but sure enough developers of HDR Artist used Dynamic Light a little too heavily as their inspiration and, to say the least, didn’t put much imagination and originality into their own creation. If you want a well conceived HDR imitation on your iPhone, then get Mediachance’s Dynamic Light, which now includes also more features, effects and extras that HDR Artist lacks.